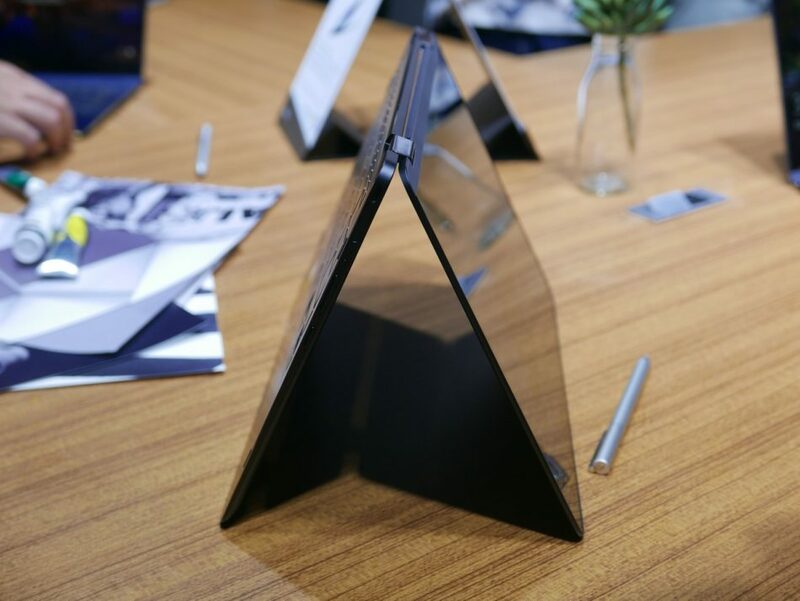 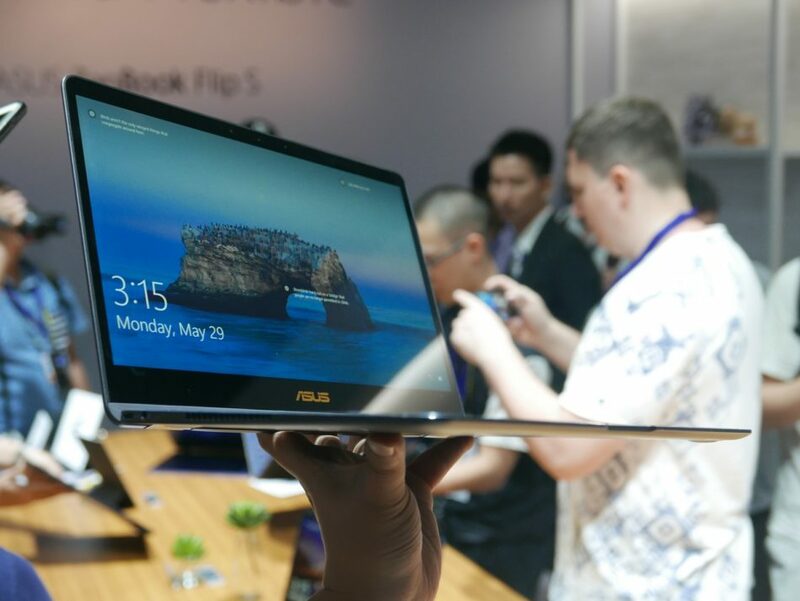 Asus showed off the slimmest convertible laptop in the market yet with its ZenBook Flip S in Taipei this afternoon, as the Taiwanese PC maker looks once again to thin and light machines to catch the eye this year. 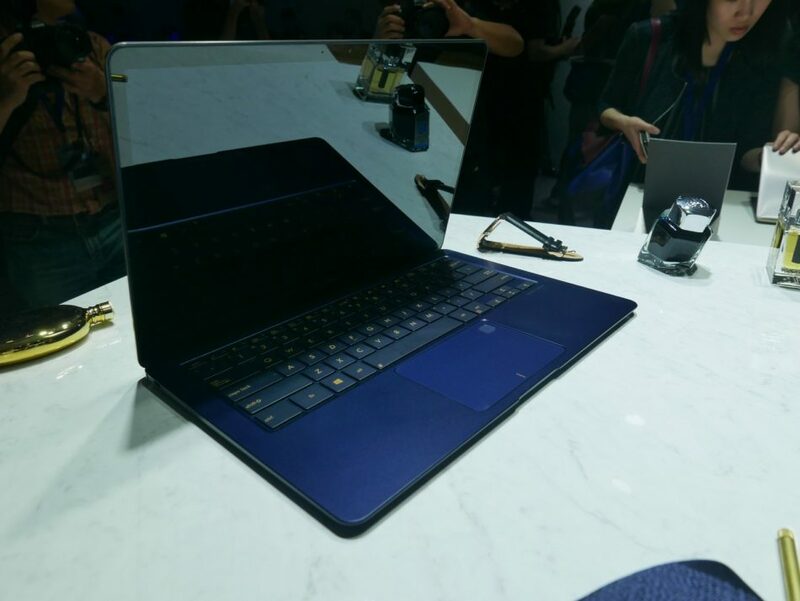 At 10.9mm thin, the new machine is skinnier than the HP Spectre x360 (13.8mm) and Apple MacBook Air (17mm). 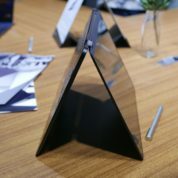 It is also lighter with a heft of just 1.1kg, less than HP’s 1.29kg and Apple’s 1.35kg. 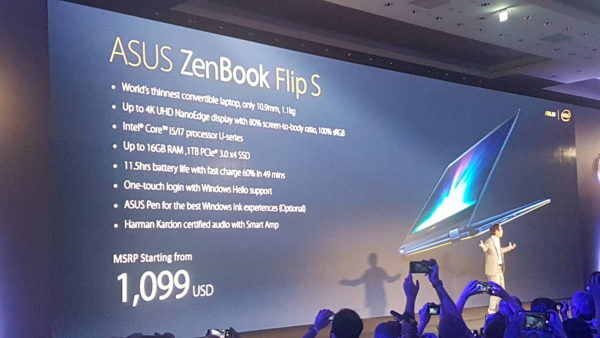 The flip-around design is similar to previous 2-in-1 machines from Asus and other PC makers, but the slimmer look will make the ZenBook Flip S more attractive as a tablet as well as a laptop. 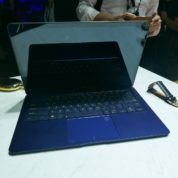 Previously, much of these convertibles have been thicker and bulkier than ultra-thin laptops that did only one thing but did it better. 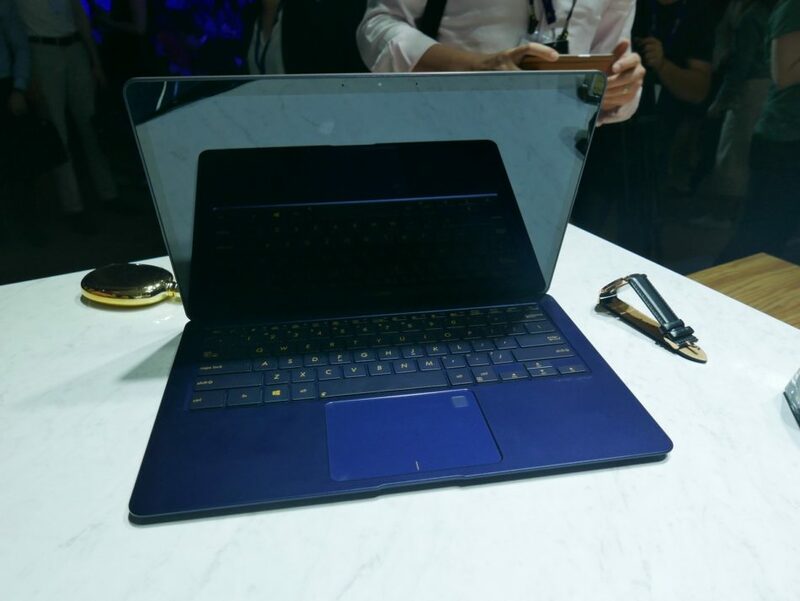 With the ZenBook Flip S, it helps too that the bezels around the screen are made skinny, so no space is wasted. 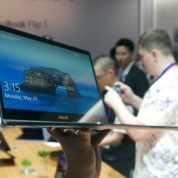 Various models are available, with specifications running up to Core i7, 16GB of RAM, and a 1TB solid state drive (SSD). 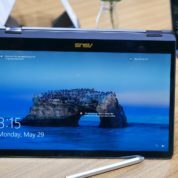 There’s also 4K resolution on the 13.3-inch screen – whether you can tell the difference with more regular 2K or even Full HD resolution is unclear, but you will get sharp images, that’s for sure. Perhaps what’s most interesting is the ZenBook Flip S’ price. 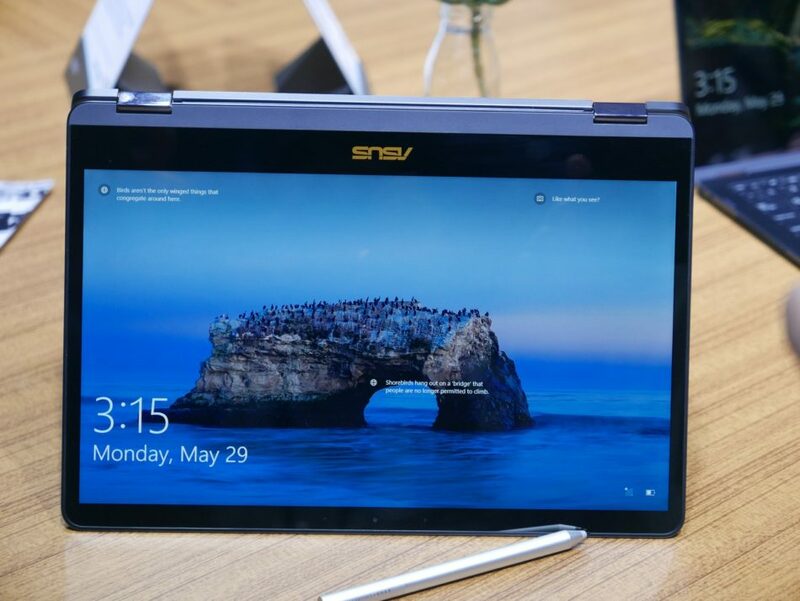 Starting from just US$1,099, it will attract buyers from across the spectrum, not just those ready to pay top dollar for a premium machine. 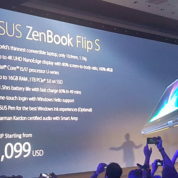 Asus chairman Jonney Shih, in his typical dramatic style on stage, called the ZenBook Flip S a top-end 2-in-1 convertible at the company’s customary media event a day before the opening of the annual Computex show. 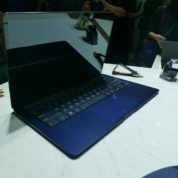 He also showed off a ZenBook Pro laptop, a workhorse that comes with discrete graphics up to an Nvidia GeForce GTX1050Ti, 16GB of RAM and a 1TB SSD. The laptop sports a 15.6-inch screen for a large display, while still keeping to a relatively light 1.8kg weight that makes it portable. 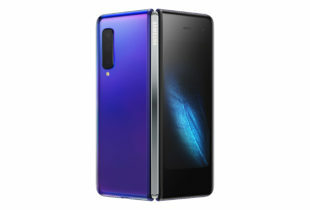 Prices start from US$1,299. 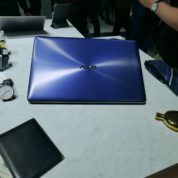 Along with the ZenBook premium range, Asus also unveiled a number of updates to its more affordable VivoBook laptops. 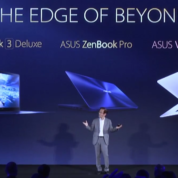 What’s clearly missing were its smartphones and even a robot that Shih surprised many with last year. 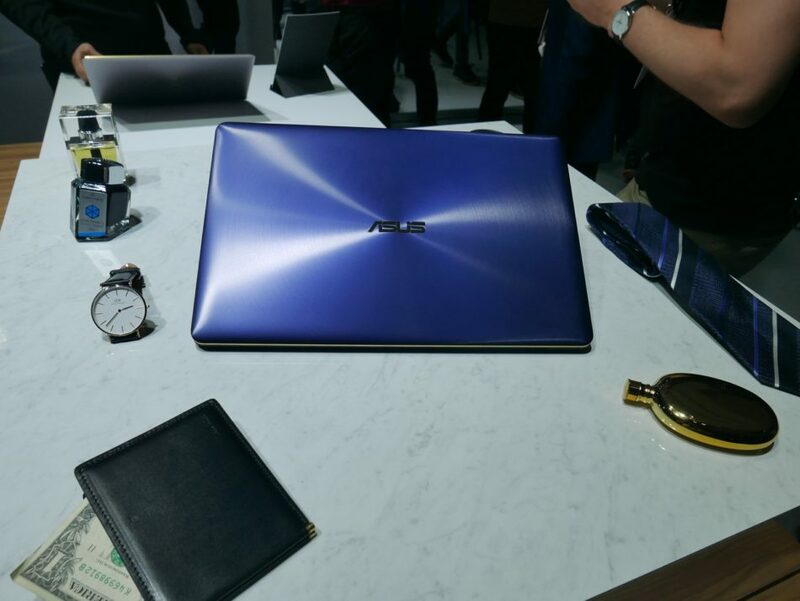 At least at this year’s PC fest in Taipei, it appears like a return to its roots for Asus, which first made its name as a motherboard maker and assembler for other PC brands.